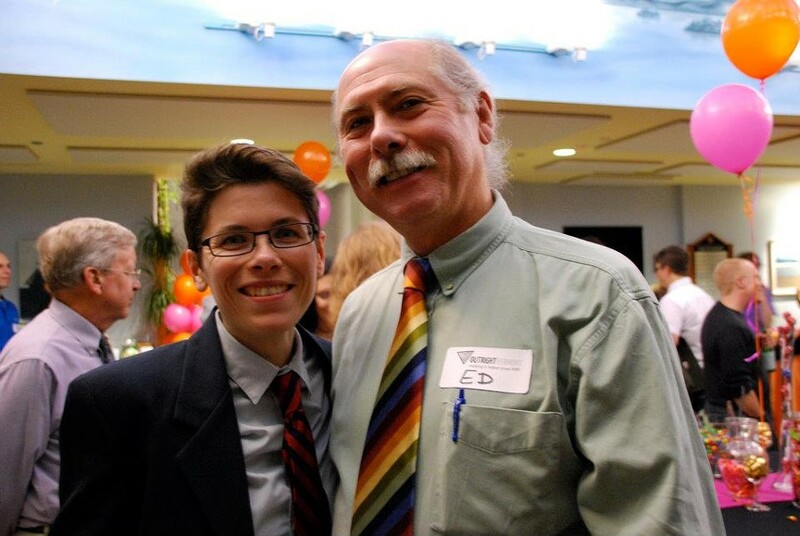 Llu Mulvaney-Stanak and Ed Stanak in 2011. When identical twins Lluvia and Emma Mulvaney-Stanak were growing up in Barre, they joined their parents in protesting nuclear power and holding campaign signs at polling places. Parents Ed Stanak and Joelen Mulvaney taught their two children that you can and should fight city hall. The message took root. Llu’s first job out of college was at Outright Vermont, going to bat for young queer Vermonters’ rights. Emma served on the Burlington City Council and, in 2013, was named chair of the Vermont Progressive Party. The family has, all this time, hung together when it comes to politics. But 2016 is no ordinary year. This time around, the Mulvaney-Stanak clan is split. Last week, Ed Stanak publicly declared himself a supporter of Republican gubernatorial candidate Phil Scott. On a list of Democrats, Progressives and independents supporting Scott, Stanak’s name stood out more than most. This is the same Ed Stanak who, as president of the Vermont State Employees Association, was a labor-activist stick-in-the-craw to former Republican governor Jim Douglas’ administration. This is the same Ed Stanak who ran for attorney general in 2012 under the Progressive Party banner. 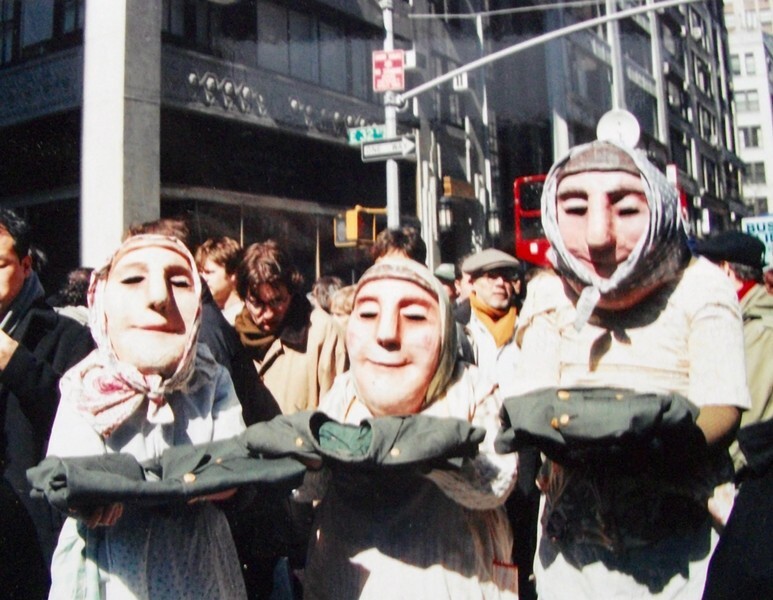 Llu Mulvaney-Stanak (left) with parents Joelen Mulvaney and Ed Stanak as Bread and Puppet Theater washerwomen in a 2002 New York City parade against the Iraq war. Wind power is what did it for Stanak. After 33 years in state government administering Vermont’s land-use laws, Stanak is worried about the environmental, health and aesthetic impact of industrial wind turbines. 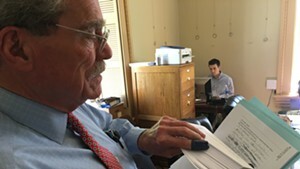 He’s also convinced that the state’s Public Service Board energy approval process is broken — and that anybody who questions wind siting in Vermont is unfairly targeted as a climate-change denier. As a lifelong activist who was arrested fighting plans for a gas pipeline and fought for divestment of the state pension fund from fossil fuels, he doesn’t appreciate that. So Stanak proudly offered his name up to Scott’s campaign as a supporter. Llu, meanwhile, is an ardent supporter of Democratic gubernatorial candidate Sue Minter. Now 36 and working as the communications director for Burlington City Arts, Llu had been leaning toward Democrat Matt Dunne in the primary election when Minter’s teenage son, Jasper Goodman, came door-knocking in the neighborhood. He won over at least one Mulvaney-Stanak. Llu sees the family’s political split as generational. All these years after teaching their children not to get disillusioned about their ability to shape the world around them, Llu’s “aging yippie” parents have become disillusioned, the Minter supporter said. And their differences do not extend, as they do for so many families this year, to the presidential race.